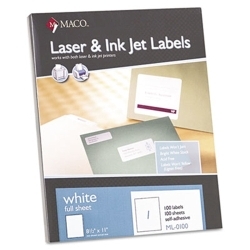 Maco 8 1/2 X 11 Laser Label 100/BX (ML-0100) : Disk-O-Tape, Inc.
White Laser/Inkjet full sheet labels for laser & inkjet printers. 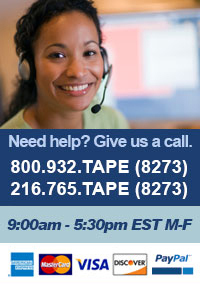 100 sheets, 1 label per sheet with permanent adhesive. Label size: 8-1/2" X 11"